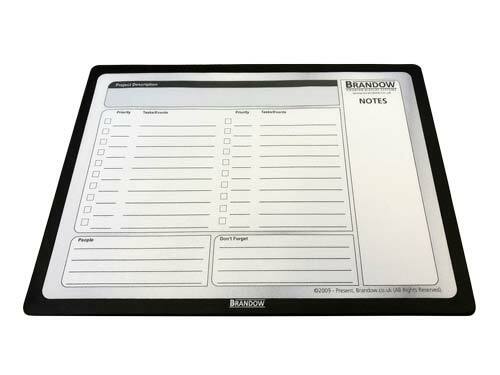 Brandow Mats are an excellent way to hold and display your "to do" or task lists. So we've produced some example downloadable worksheets for you to check out and manage your tasks without losing your list amongst the papers lying around your desk. Download and print off these useful free generic project task worksheets below to insert into your A4, A3 or A2-sized Brandow mats here (no purchase of a Brandow Mat is required to download). Download Free Generic Project/Task Worksheet and print out for use in your Brandow Mats. No purchase of a Brandow Mat is necessary.